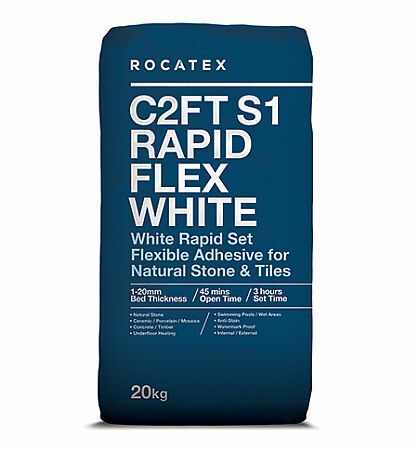 A flexible rapid set white adhesive which is suitable for any natural stone flooring. 1 bag of adhesive will cover 3 sqm of stone. 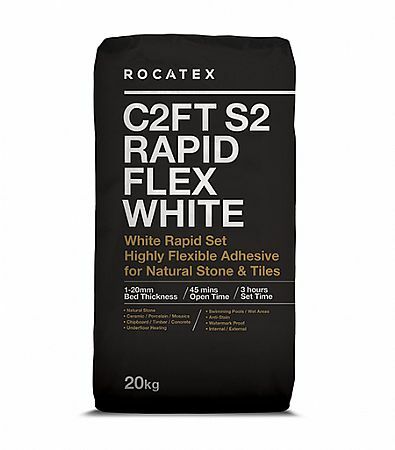 White Rapid Set Flexible Adhesive is a professional and highly flexible wall and floor tile adhesive designed for fixing tiles to a variety of substrates including timber surfaces where slight movement can occur such as floating floors, tongue and grooved floorboards, chipboard and plywood. Designed for natural stone and fully vitrified, high density tiles such as porcelain, ceramics and mosaics. 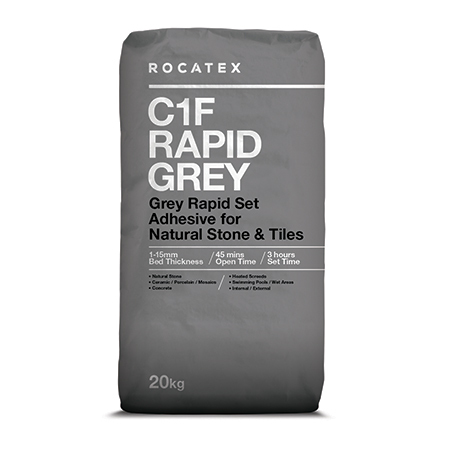 Grey Rapid Flexible Adhesive is a professional and flexible wall and floor tile adhesive. Designed for natural stone such as travertine and slate, also fully vitrified, high density tiles such as porcelain, ceramics and mosaics. 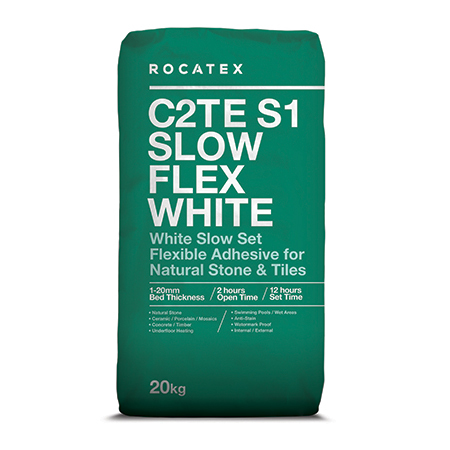 White Slow Set Flexible Adhesive is a professional and highly flexible wall and floor tile adhesive. Designed for natural stone such as travertine and slate, also fully vitrified, high density tiles such as porcelain, ceramics and mosaics. LONDON CERAMICS is a natural stone flooring specialist. We offer a range of premium quality limestone flooring which is sourced from across the globe. This ranges from traditional flagstone floors from the UK such as Bath stone and Cotswold stone, antique terracotta from Europe to modern contemporary marble such as Jerusalem Gold stone tiles and Egyptian stone tiles. We have been active in this industry for over 10 years and only deal with reputable suppliers offering high quality, practical stone floors. We are the first choice for any high quality natural stone flooring.